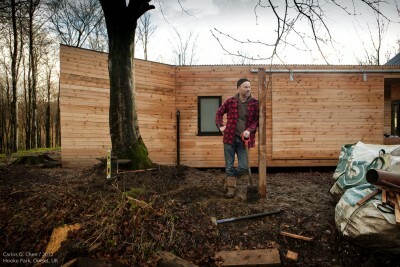 The Caretaker’s House at Hooke Park is truly ground breaking. 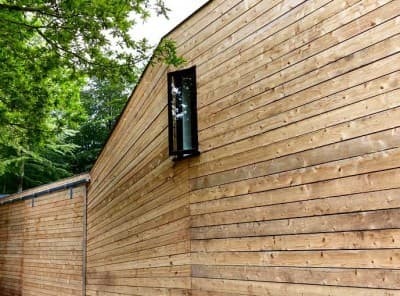 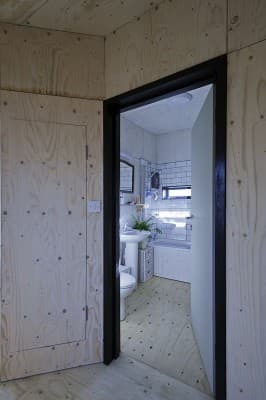 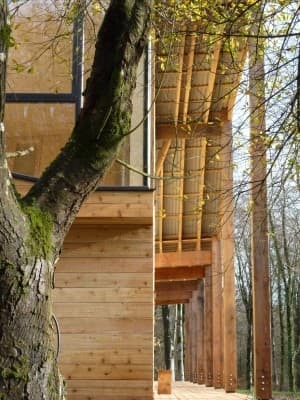 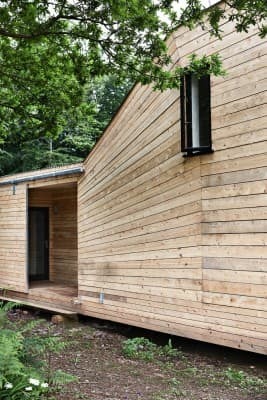 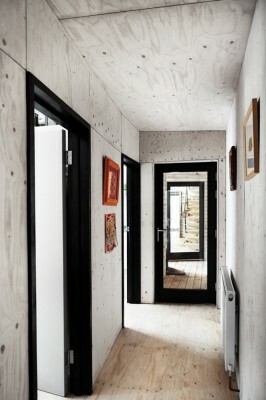 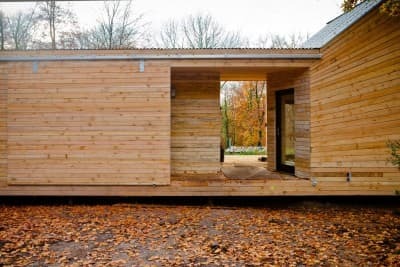 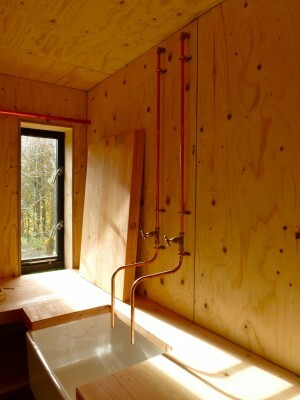 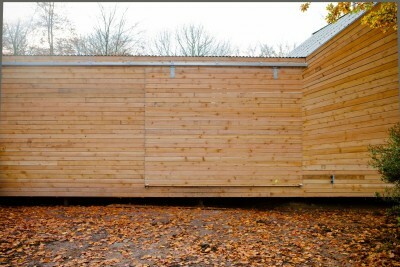 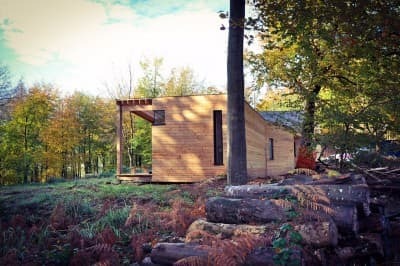 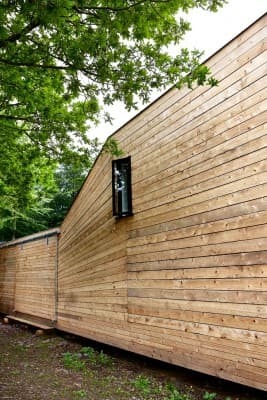 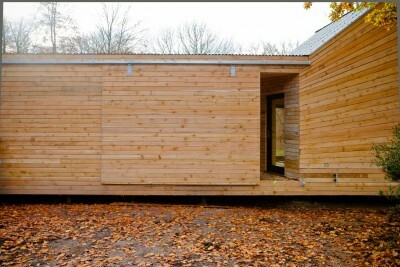 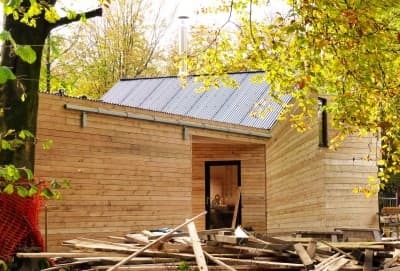 Invisible Studio were commissioned by the Architectural Association to develop a student schematic design into a prototypical low cost timber exemplar building using only timber grown and felled on site, and in its green state. 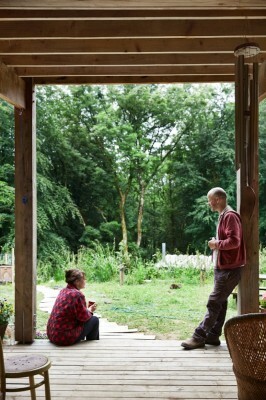 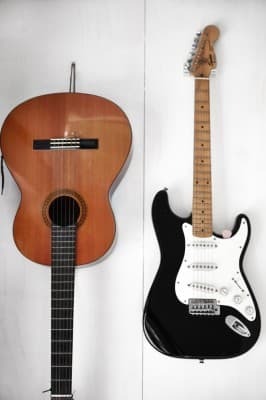 We were careful to preserve the intent of the student scheme. 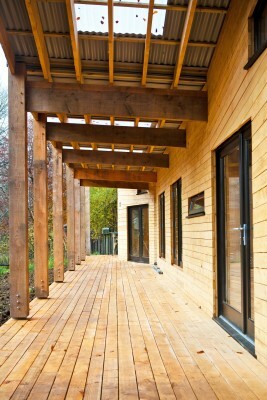 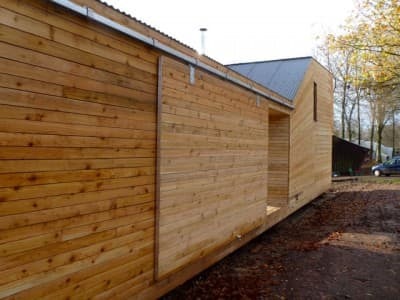 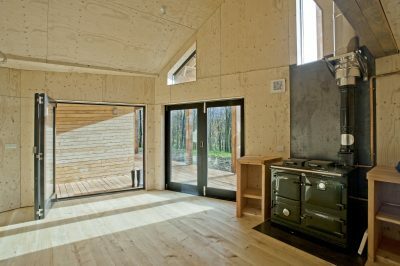 The building uses unseasoned larch/cedar/poplar/douglas fir/spruce as appropriate, uses wood for heating and also for insulation. 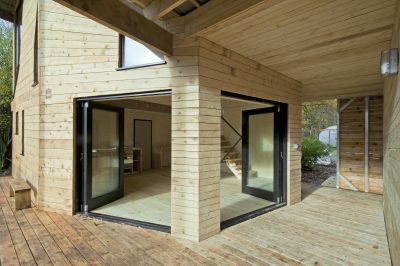 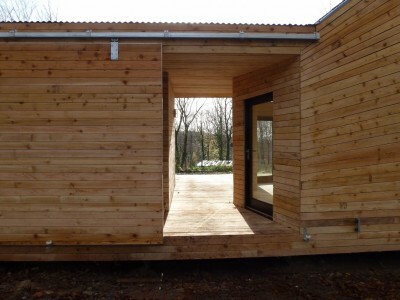 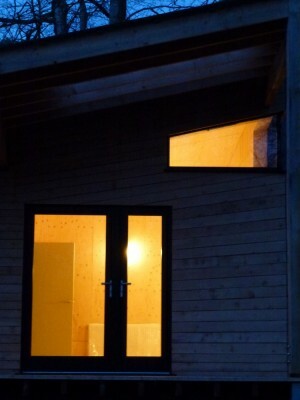 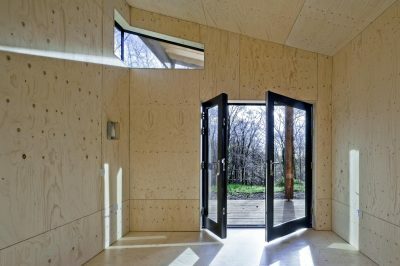 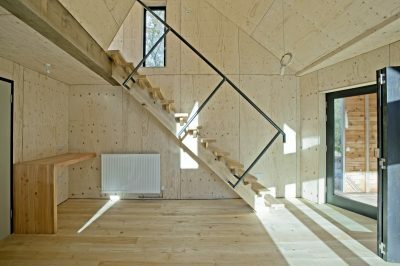 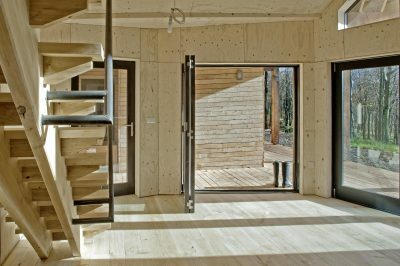 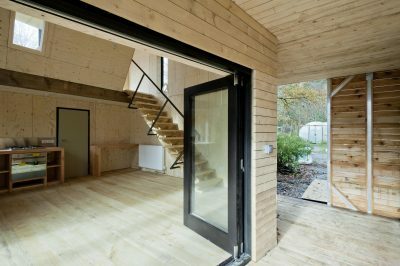 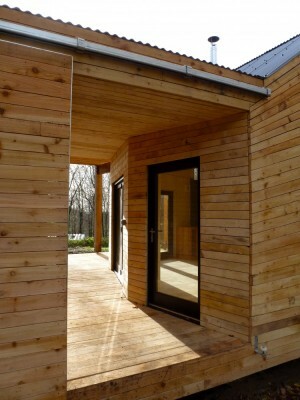 It is (as far as we are aware) the world’s first green timber building insulated to passivehaus standards, with passivhaus airtightness. 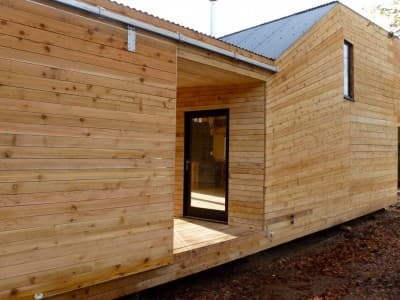 The construction process is super-efficient. 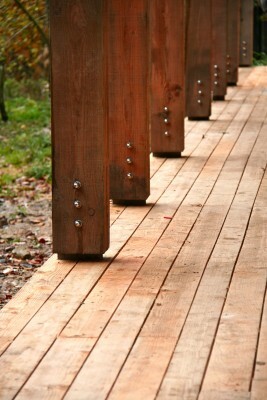 There are no wet trades whatsoever – the mini piles are steel and the only non timber structural item. 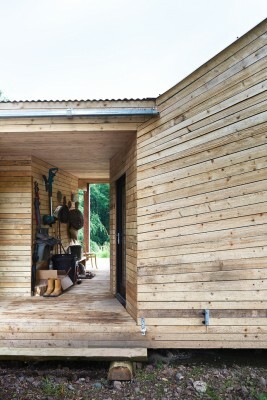 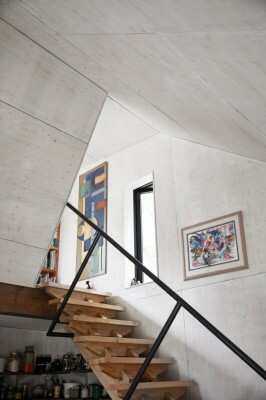 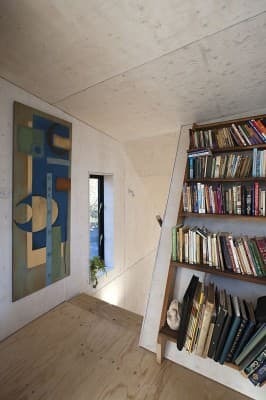 The key move of the building is the ‘heavy’ north wall to provide privacy and insulation, and is very open to the south where there is a large inhabited verandah conceived of as an extension to the living space. 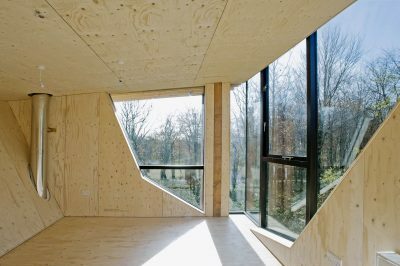 The roof form is generated by, at one end, the need to gain maximum east sunlight penetration into the master bedroom, and at the other end, a living space with high natural surveillance over the campus. 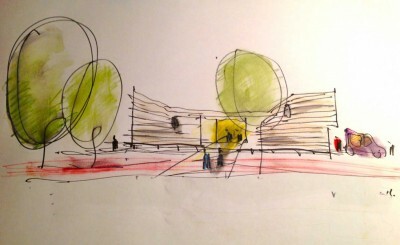 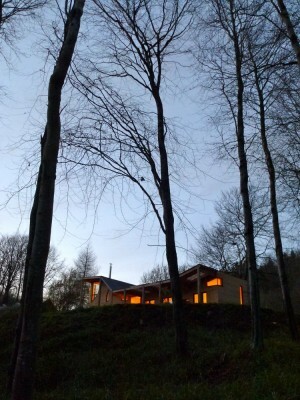 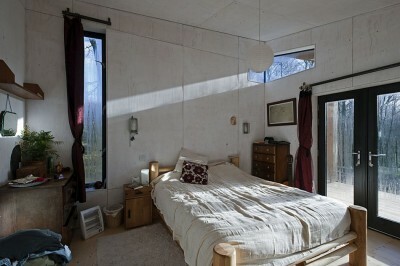 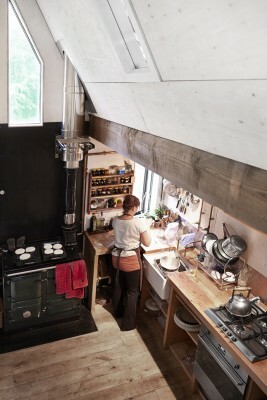 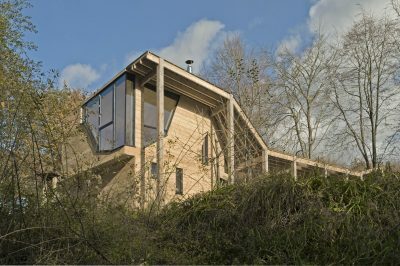 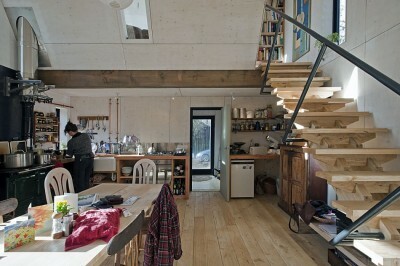 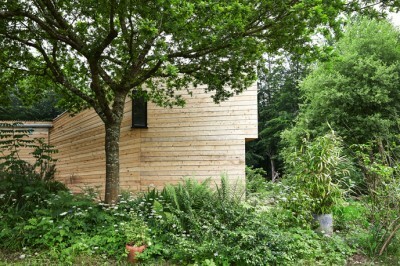 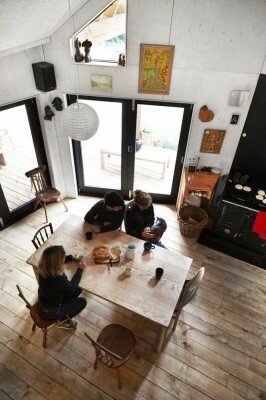 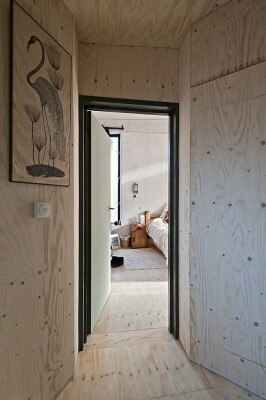 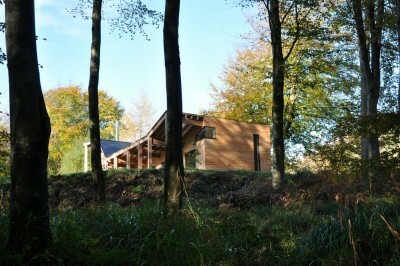 The bed and living spaces are separated by an open ‘dog trot’ allowing framed views out into the forest. 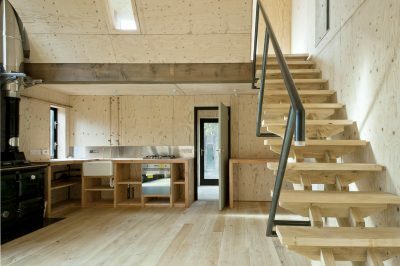 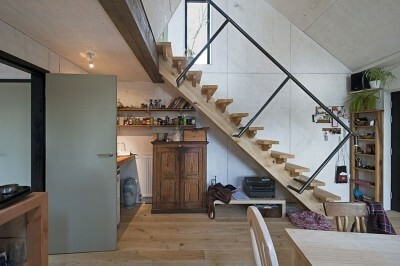 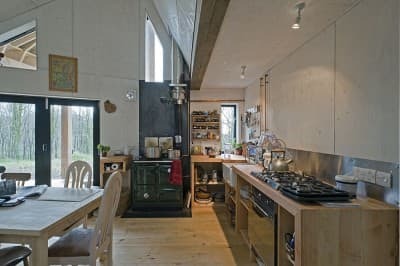 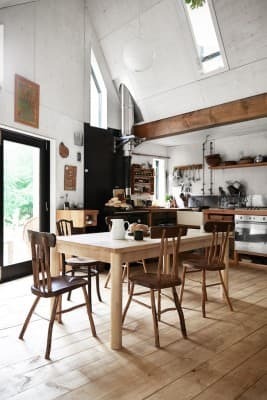 Even the joinery was manufactured on site – the kitchen (which uses exposed copper piping for taps) has chunky timber work tops, and the stairs uses an innovative dry jointed system that gains strength as the timber dries. 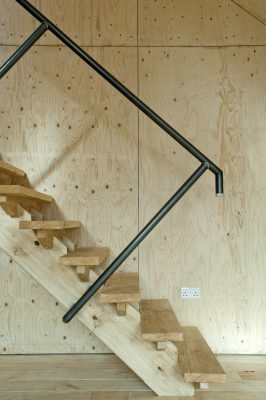 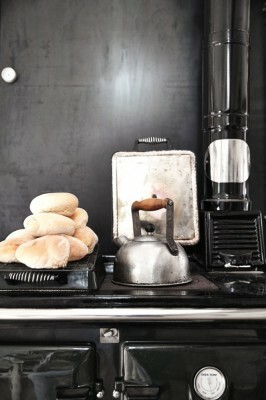 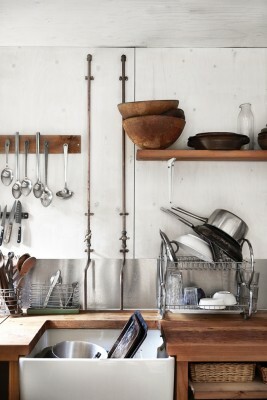 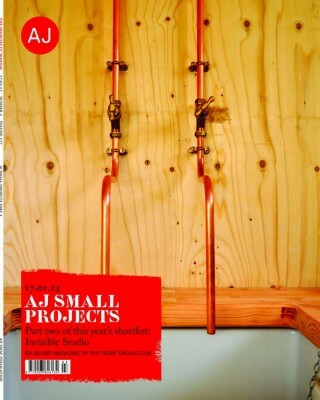 The handrail uses mild steel bent piping, welded on site.